Wow! What a great weekend we're having. Saturday was beautiful. The weather was nice and warm and bright and sunny. Who could resist going out is such gorgeous weather? Of course, I had to go out and I decided to head for the Marché Jean-talon and then revisit the Plaza Saint-Hubert since it started just a couple of blocks away. 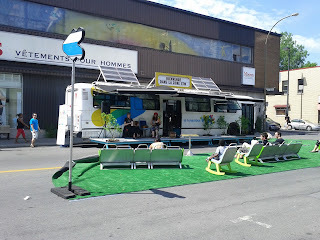 So, I hopped on the metro and headed for the Jean-Talon station on the orange line. 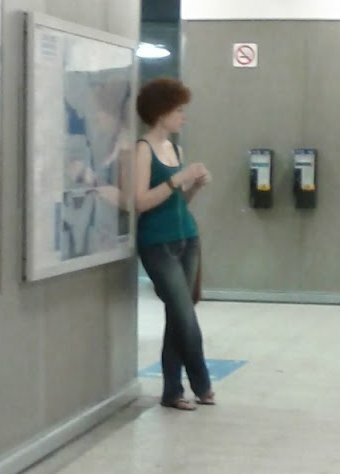 Speaking of orange, I saw a girl at the Berri-Uqam station with the funkiest most bodacious orange afro I've ever seen. I swear this ginger girl's got soul written all over her. I felt like such a creep for taking a picture of her like this, but it had to be done. I had to share this awesome 'fro with the world. She's got soul, and she's super bad! 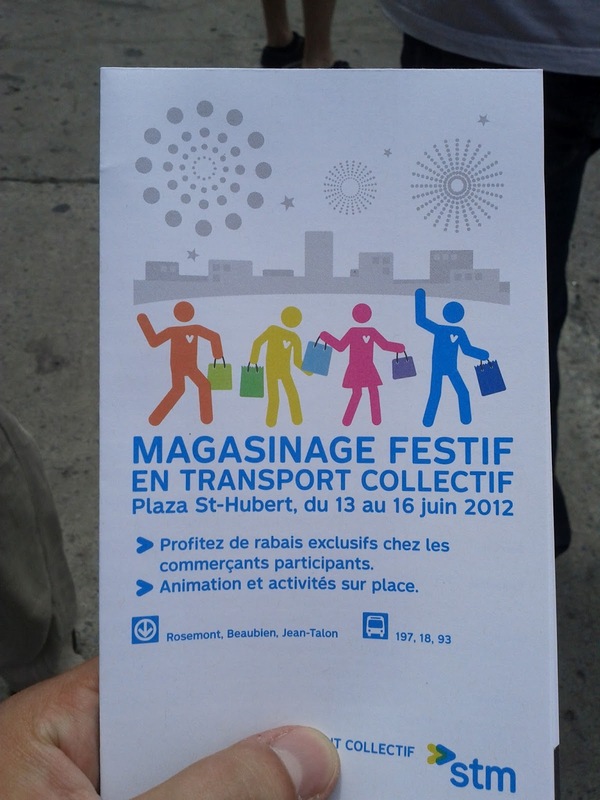 When I got to the Jean-Talon station, there were STM employees handing out flyers and reusable bags. Apparently, there was a sale where some stores in the Plaza Saint-Hubert offered discounts if you flashed your STM Opus card. 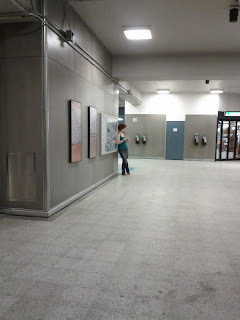 (That's the bus and metro pass.) Basically, the STM was making a big promotion that day to encourage people to take the metro to go shopping. 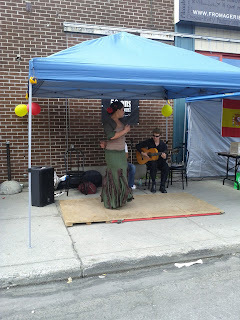 They had people on the street handing out more reusable bags and flyers and also had some kind of live - performance - thing. Wow, that looks like a lot of YAWN! 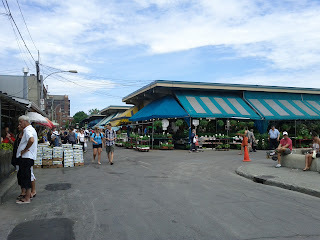 Outside, I headed west on Jean-Talon street towards the market. 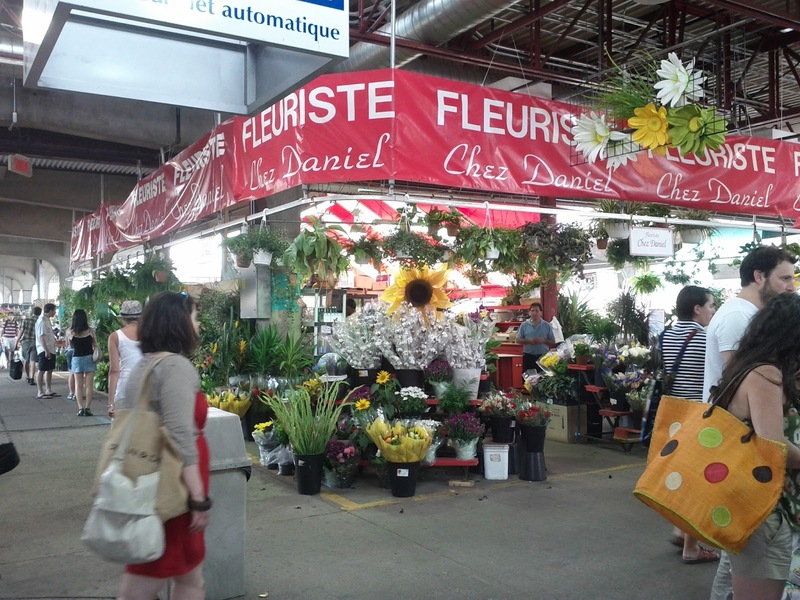 The Jean-Talon market is this giant outdoor farmers market with tons of fresh fruits, vegetables, fine herbs, plants and flowers, cheeses, meats, spices, and the list goes on and on. 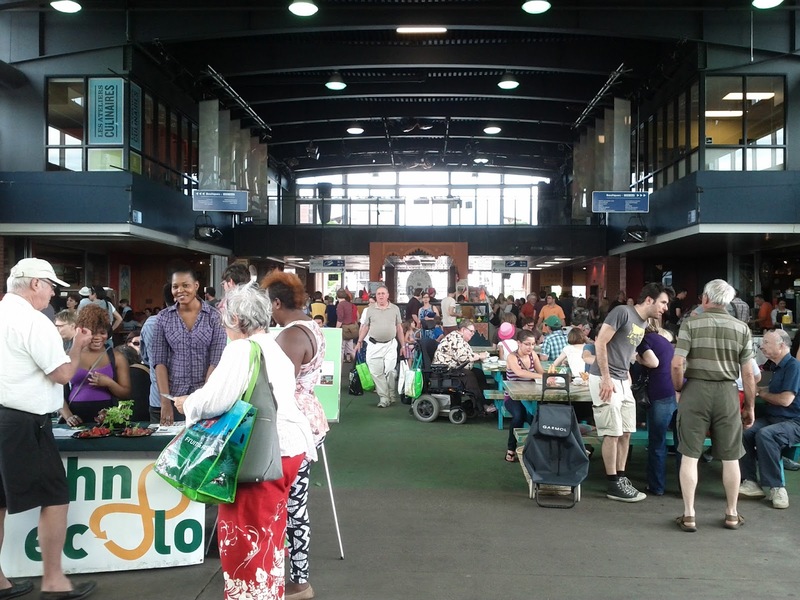 Its an amazing place to get fresh food or food-related items like cookware, recipe books, etc. 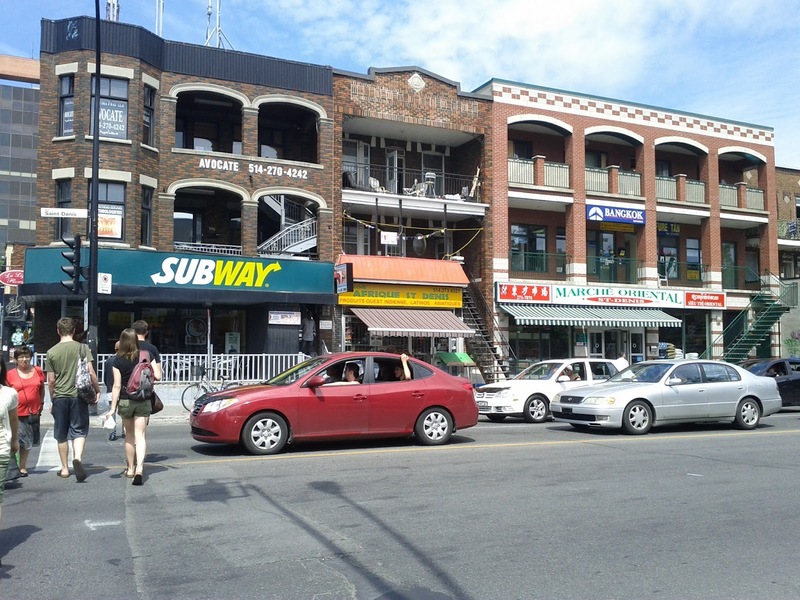 The market sits on the limit between the Villeray and Rosemont La Petite Patrie boroughs. 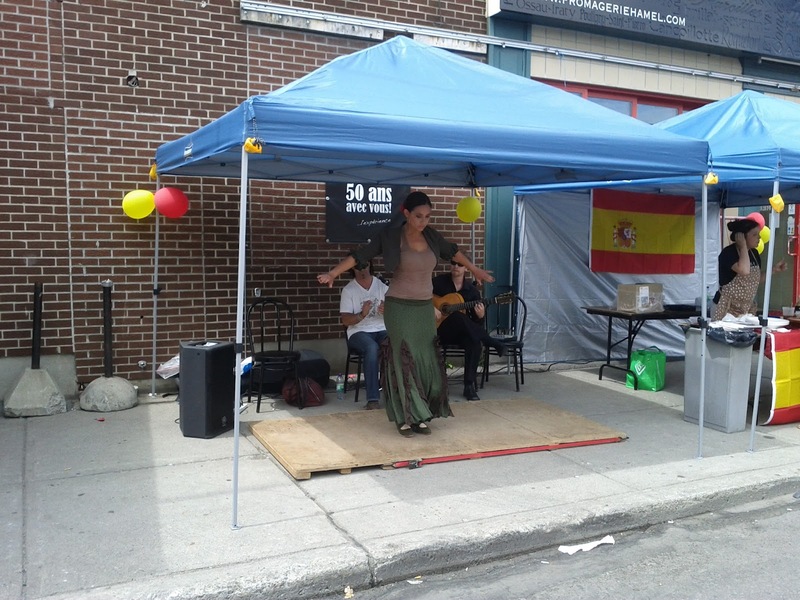 That area of town is rich in cultural diversity. You can actually smell it when you step out of the metro. Your nose will immediately pick up a smorgasbord of flavours from around the world ranging from braised shawarma meats to intense Indian spices, sweet and spicy Asian foods and hot Latin American food. 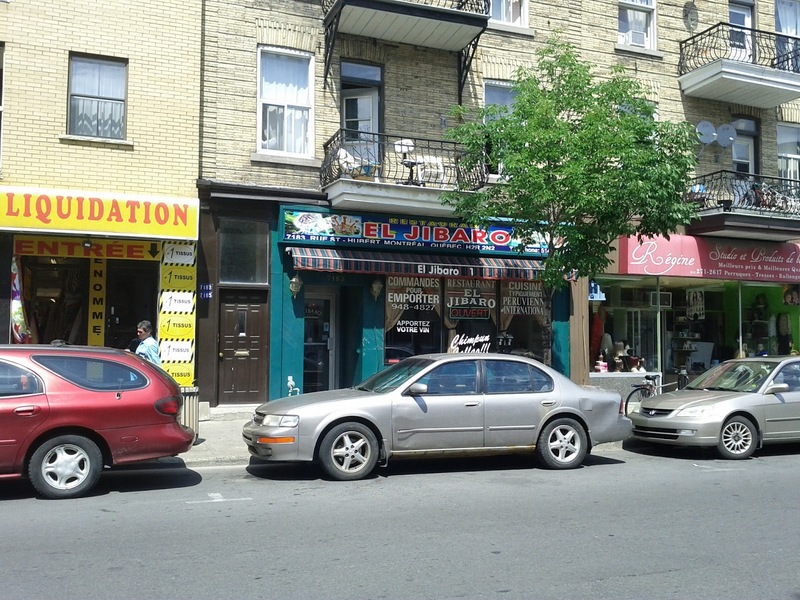 Its one of the best places to get authentic ethnic foods in Montreal, and I don't just mean restaurants, there's tons of ethnic groceries store there as well to cater to every group of the melting pot that comprises the residents of this area. 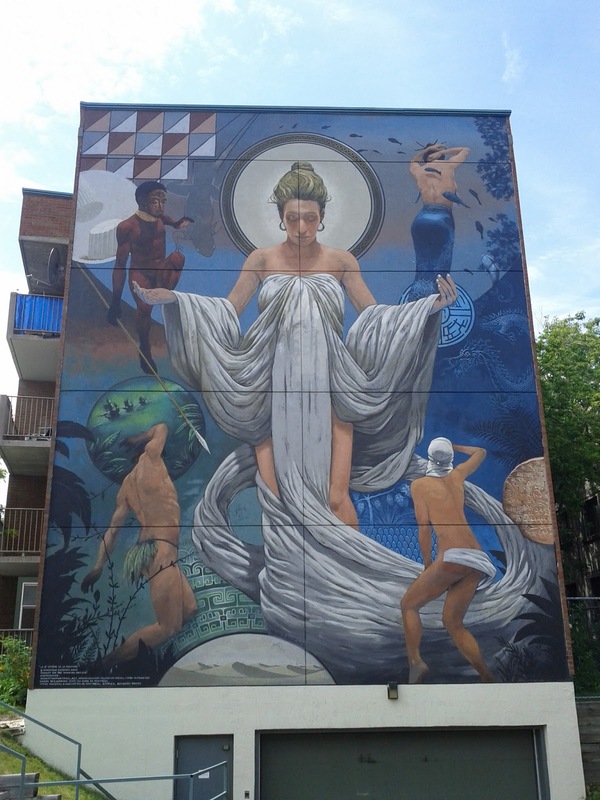 Montréal neighborhood without any street art. 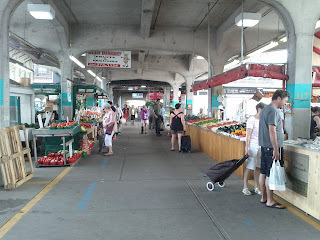 I've been to the Jean-Talon market once before a while ago and I was impressed by its size. If you ever need to make a huge grocery to make a big meal, this is definitely the place to go. The sheer variety of foods there is astonishing. 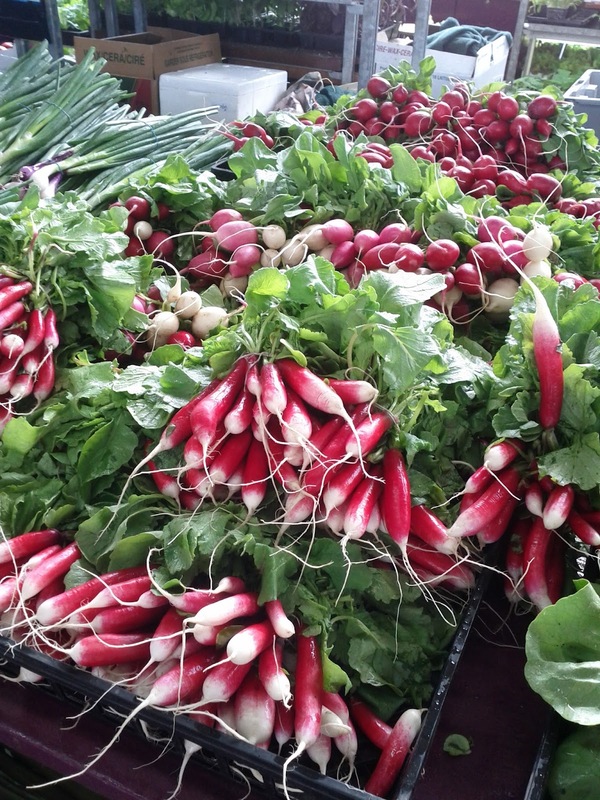 It's not just a regular farmer's market with fruits and veggies. 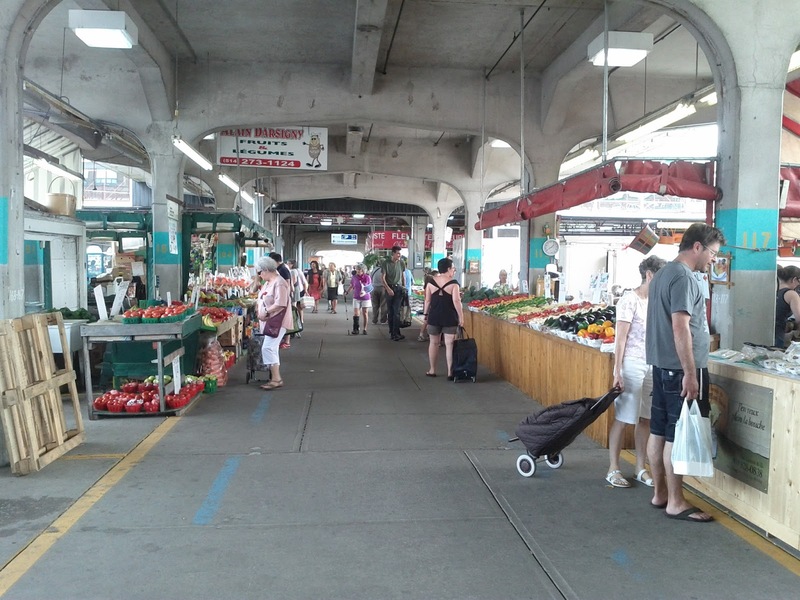 The entire market is surrounded with many different ethnic stores that sell a variety of meats, cheeses, wines, sweets, you name it. There's just so much to say about this place that I think I'll just let the pictures speak for themselves. 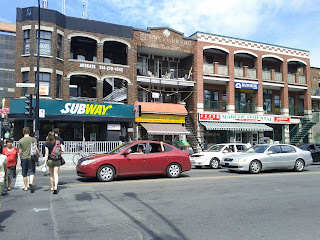 But here are a few notable pictures that I'd like share directly. 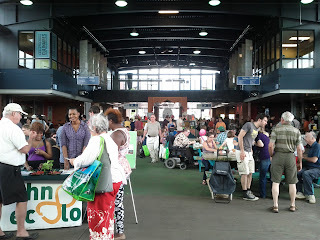 You get a feel of how dense the place is when you enter the market area. Especially on a beautiful day like this, there's bound to be a ton of people. The people who work there are super friendly and always willing to describe what they're selling and they're all eager for you to try some and let them know what you think. 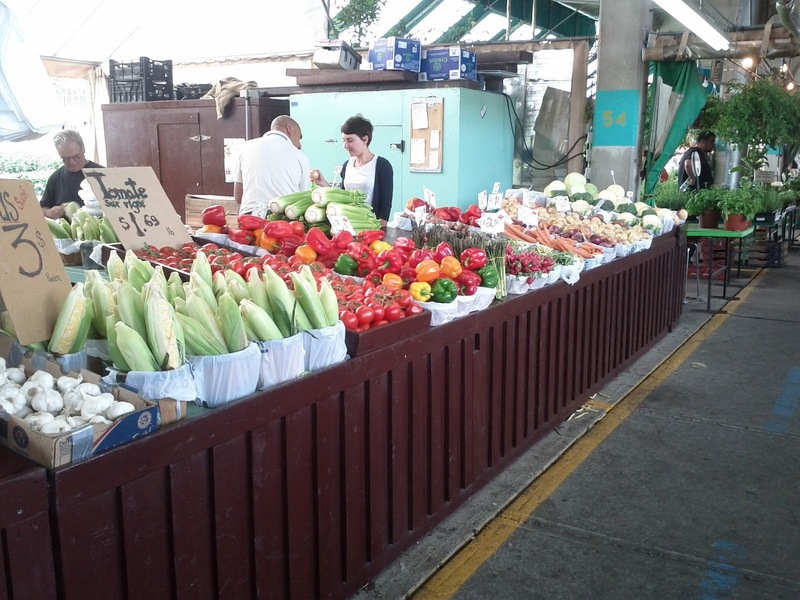 Especially in the areas with prepared and cooked foods. 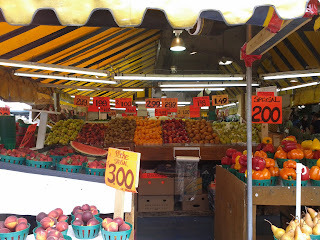 Most fruit stands also provide samples of their fruits to taste as you walk along. What was sad though is that most of them only sell their produce in packs or large quantities. For a single guy who buys his food on a per need basis, that's not the best option because if I don't eat them all they'll rot. Also, having to carry a crate of mangoes by metro is not the easiest way to carry them home either. Next time, I'll bring my car and buy some fruits for the office. They actually have an underground parking lot by the way, so that's pretty neat. 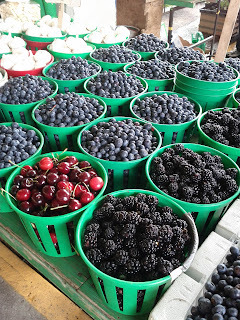 Just walking around the market that day was truly pleasing for all the senses. 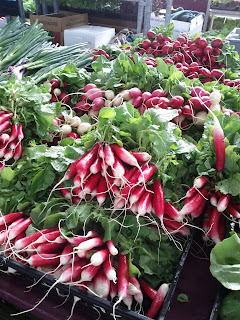 The beautiful bright colours of all the produce there was quite a sight. Not to mention the smells of the sweet, sweet peaches and oranges and mangoes and strawberries all over the place. Walking in the fine herbs section brought a bouquet of perfumes to the nose that just made me crazy. Boy, did that basil ever smell so good. 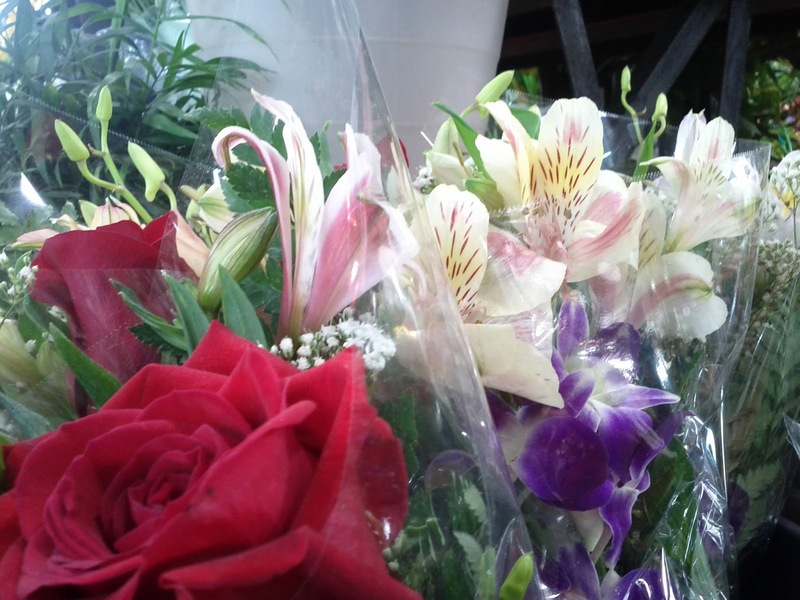 When I got to the flower section I noticed something I've never actually seen before in real life. 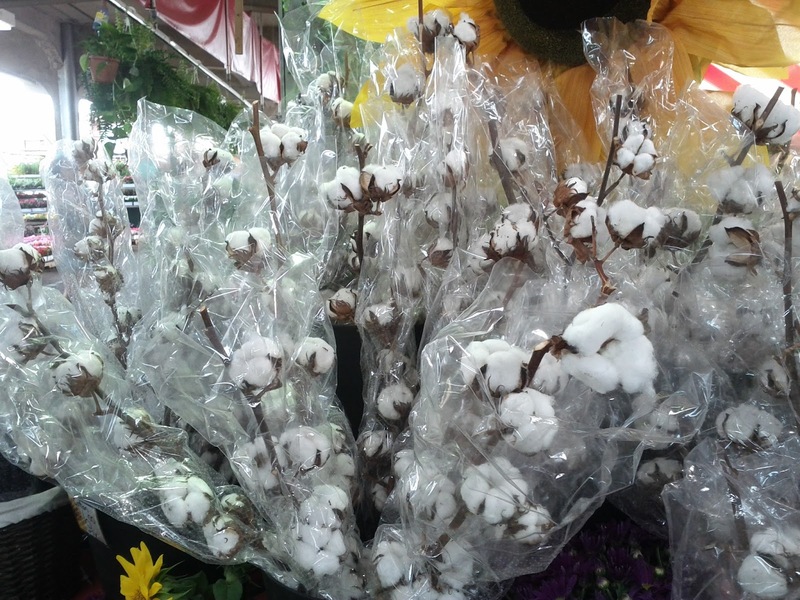 They actually had cotton! No, not sheets of cotton fabric, but the actual fluffy cotton buds from the plant. And I got to touch it! It was so fluffy! Suddenly, from far away came some music. It beckoned me. It was enthralling. My pelvis started to thrust around, my legs started to wiggle uncontrollably, I was clapping my hands and I felt this urge to scream OLE! 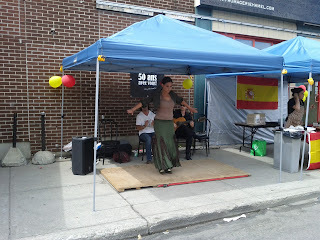 So I awkwardly moved towards the source of this devilish music, weirding out everyone around me as I went along. When I stumbled upon this. When I laid eyes upon her, I felt this sudden heat inside of me and my heart melted. Even worse was when her bright blue gaze landed on me, I got weak in the knees. My god, she was gorgeous, and boy could she ever dance.
. 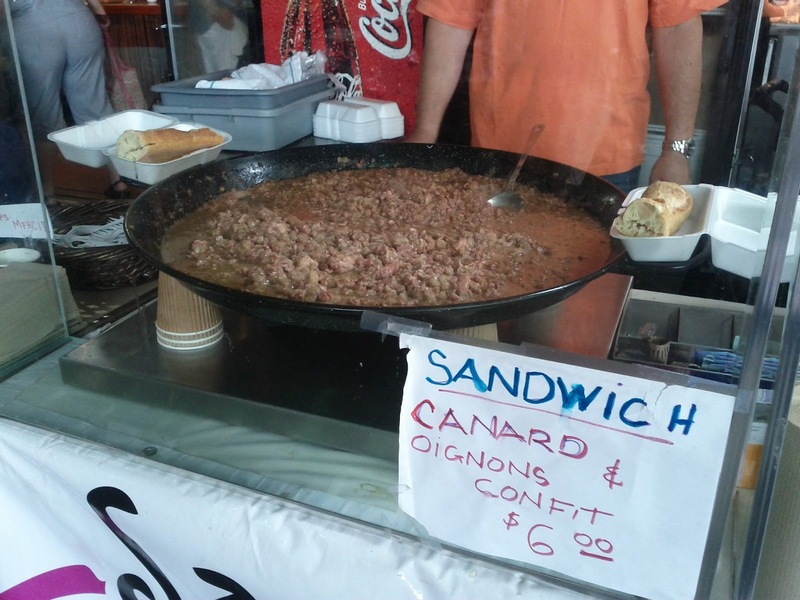 Some notable places were a sandwich counter where they prepared a duck and onion confit or smoked meat sandwich on baguette bread. It smelled delicious. I didn't buy any because it was late in the afternoon and I didn't want to spoil my appetite for the father's day dinner that was planned at home with the family. But, it looked mighty tasty. Maybe next time. 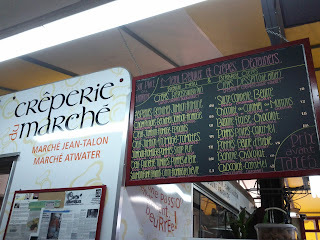 There was also a crepe place that made delicious looking French crepes. You had the option of either getting one as a meal or a dessert. They had a pretty good menu if you ask me. Anyway, I'm going to stop here. There's too much to talk about. 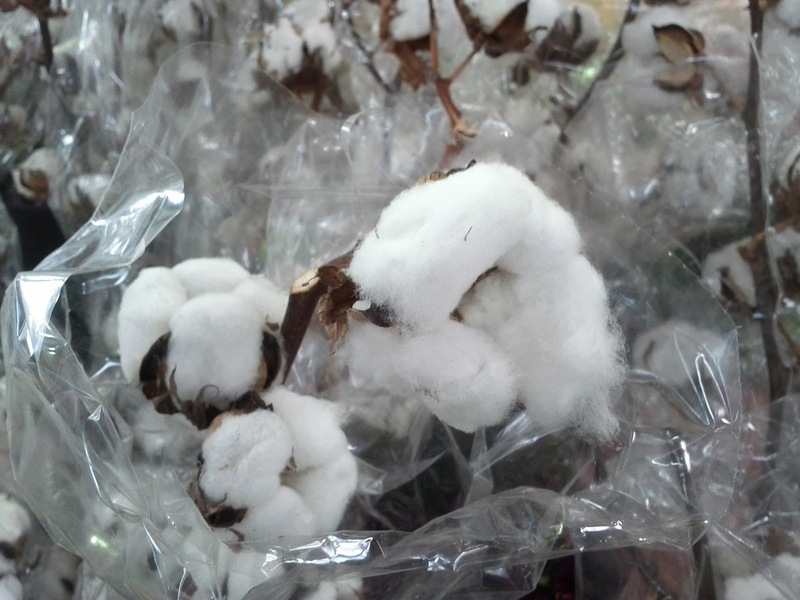 I invite you to look at the pictures in the photo album I created. There's tons to see. All of these pictures were taken in the span of about an hour. Before I left I decided to get a gift for my dad. It was father's day weekend after all and I had to get him something. In the Jean-Talon market, there as a book store with, of course, books about food. I had an idea. 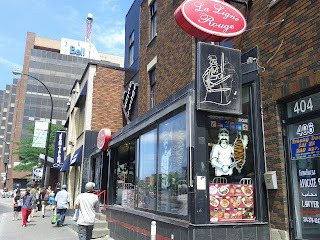 You see, my dad is a true Tremblay from Lac St-Jean. He grew up on the family farm in a small village in the country and he spent most of his time out in the woods and the blueberry-rich fields. His father before him was quite the nature's man himself and taught him a lot about fishing, catching small animals with traps for the fur trade and also about plants. My dad soon gained this love for plants and all things botanical and was gifted with a green thumb. When my parents bought their house, my dad planned an area in the backyard where he created a vegetable garden. He grew tomatoes, green, red and yellow bell peppers, cucumbers, carrots, onions, green and yellow beans, chive, basil, rhubarb and I'm sure I forgot some. He was very proud of it. But, ever since I was a child my dad always told me about all these wild plants he used to eat as a kid when he was playing outside. I have fond memories of my dad showing me this one little plant that used to grow at the very back of the yard called sour weed. It actually tasted pretty sour but it was so tasty. I think every time I played in the backyard I used to go check if there was any that I could munch on. When we went to the family cabin in the Eastern Townships, he'd get some fresh pine resin and chewed it like gum and made me try some too. 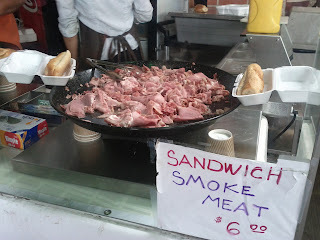 It just tasted like what pines smell like. I've since loved the taste of spruce beer, a true Quebec drink that you won't find anywhere else. My father would also find wild American hazelnut trees along the dirt road in front of the cabin. The hazelnuts themselves were wrapped in these fuzzy little envelopes and you had to peel them before eating them. My dad used to pick buckets of those as a kid and sold them to passerbys on the road for a nickel a bag. He would also have a keen eye for finding wild blueberry bushes, wild strawberries and even wild blackberries. He made going to the cabin so much fun because of that. Man, I love my dad. So, for father's day I got him what I thought was the best gift I could think of. 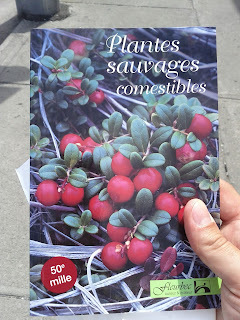 A book on comestible wild plants and fruits. The book not only lists the ones that are edible, but also those you should avoid, like some that may upset your stomach or that could even kill you, like the yew. 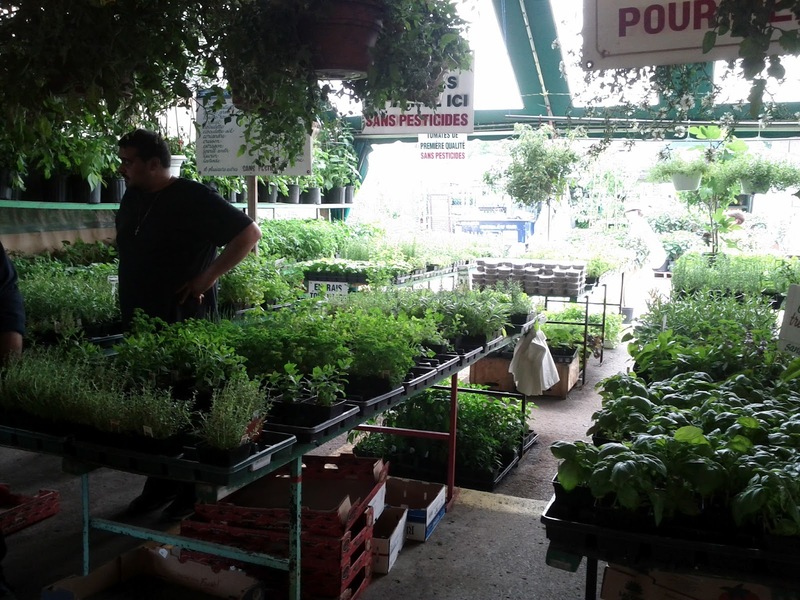 So that takes care of the Marché Jean-Talon. 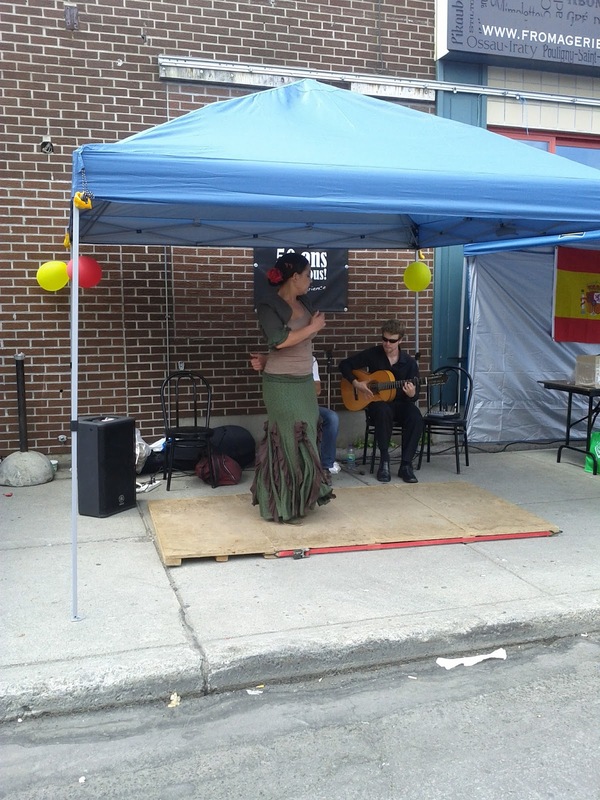 I also spent the rest of the day walking around Plaza Saint-Hubert, but I guess I'll write another post for that part later. Just as a little note here, my dad LOVES the book i got him. He read it religiously and has been comparing all the plants in his backyard with what's in the book. Next time I'll get him a recipe book for cooking with different wild plants.